As much as I love to travel and explore new places, I have a bad habit of traveling back to familiar destinations. Despite barely stepping foot in South America and Africa, I tend to gravitate back to Southeast Asia over and over again – Boracay, Palawan, and Manila being the usual destinations. Luckily, it’s the largest continent in the world, which means there are a ton of other beautiful destinations in other countries that are waiting for me to be explored. Myanmar is one of those other beautiful destinations. The fairytale-tale like pictures and videos I’ve seen online over the years have really gotten my attention. And ever since Myanmar allowed tourism the past few years, the amount of content that have been posted about Myanmar have doubled. Add the hype and excitement from the people who got to visit totally gave me the FOMO! So in the beginning of 2017, I was determined to finally book those tickets to see if the hype was real! I had a total of four weeks and five countries to cover for this particular trip in Southeast Asia. Considering it was a tight and limited schedule, I was only able to allocate six days (ish) total for Yangon and Bagan. 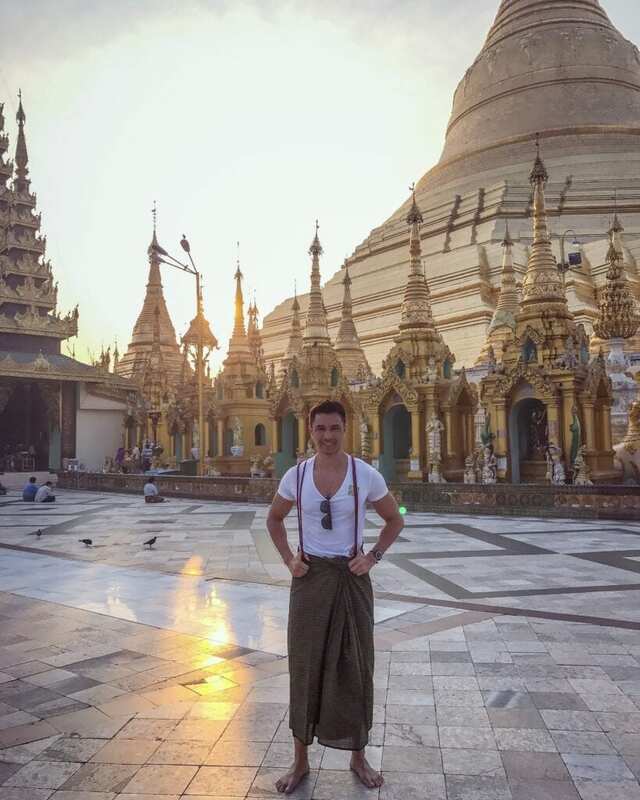 Day one – Arrive in Yangon in the A.M.
Day six – Bye Myanmar! Only after this trip did I realized one week in Myanmar is not enough! 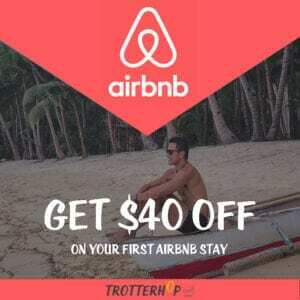 I personally feel that you need a solid month if you wish to have the ultimate itinerary for Myanmar! The journey to Yangon wasn’t the easiest. I flew AirAsia from Bali, which meant an obligatory stopover in Kuala Lumpur, Malaysia. That’s almost sixteen hours of travel! – The Locals wear a traditional costume called Longyi, a sarong-like garment worn by men and women. – Everyone has a patch of face mask on – a natural face powder base make-up that comes from Thanaka bark – used by Burmese women as a natural alternative to sunblock for over 2,000 years! – Traffic is on the right side of the road, and the steering wheel is on the right side of the car. 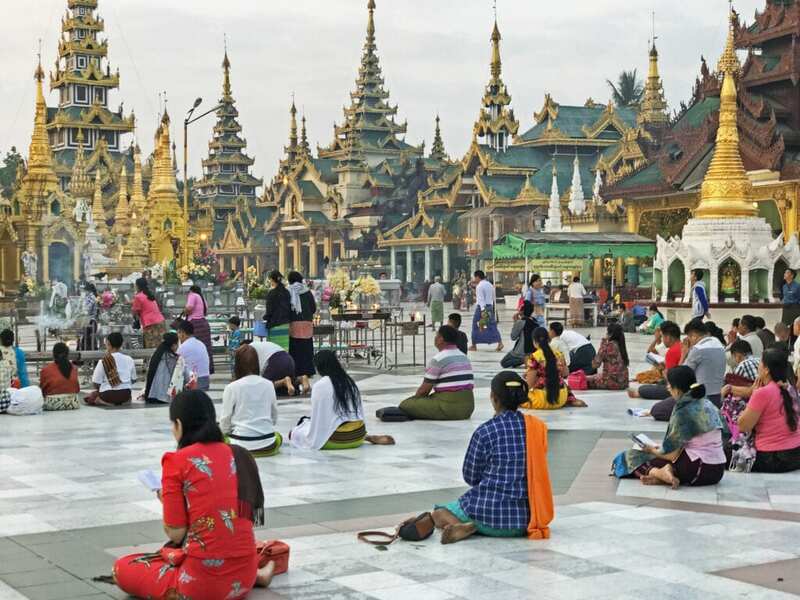 Honestly, I wasn’t expecting to do much in Yangon – hence the reason I only allocated one whole day in the Burmese capital. 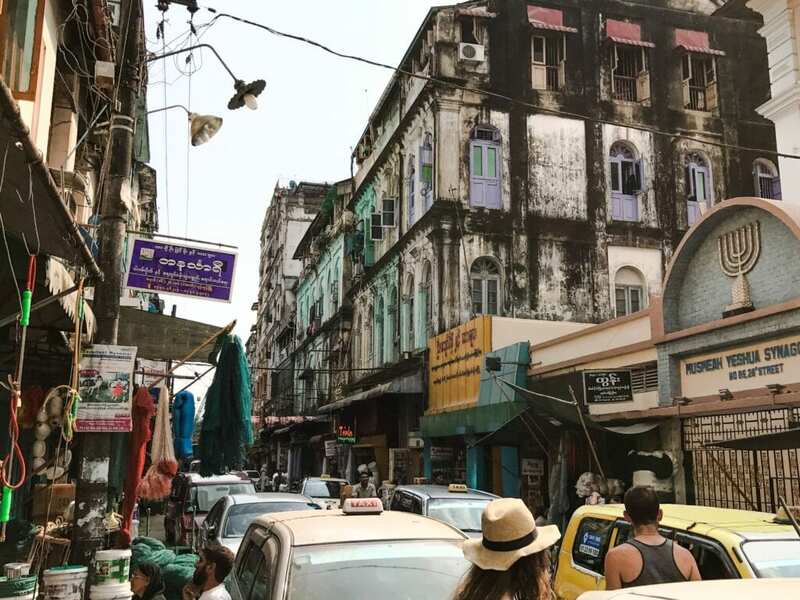 For me, it was just any other regular city in South East Asia – and walking around town pretty much confirmed it. Early morning sunrise at the Shwedagon Temple in Yangon, Myanmar. Wearing the tradtional garb, longyi. 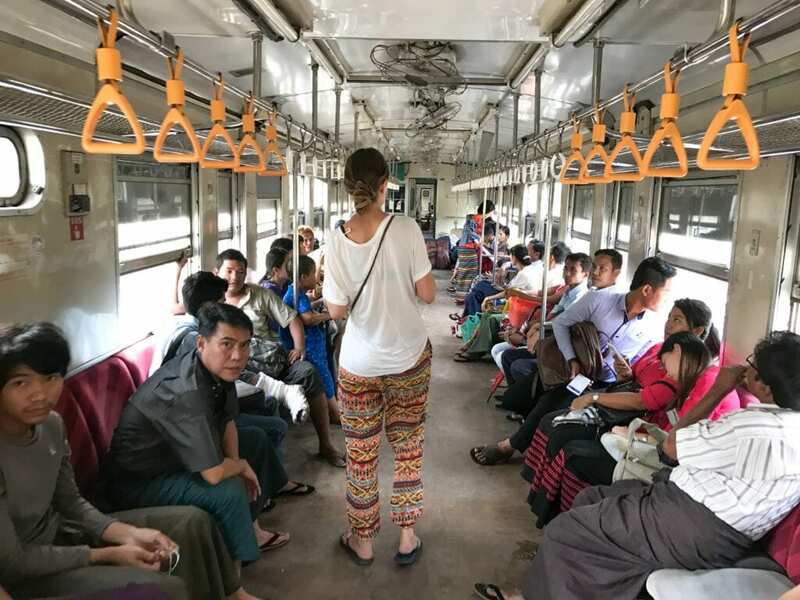 It’s a local commuter train that goes around Yangon, connecting towns and suburban areas and loop around back to the main city. The total train ride takes around three hours to complete. For just a dollar, it’s a great way to see Yangon and get a glimpse of the daily routine of the locals. However, the trains are rustic, antiquated, and doesn’t provide a lot of comfort for a three-hour ride. When you board the train, you will notice all signage are in Japanese. These trains were a gift from the Japanese that operated in Tokyo decades ago. Additionally, you will be fighting for some personal space. The locals that ride the Yangon Circular train bring on as many belongings as they can hold. 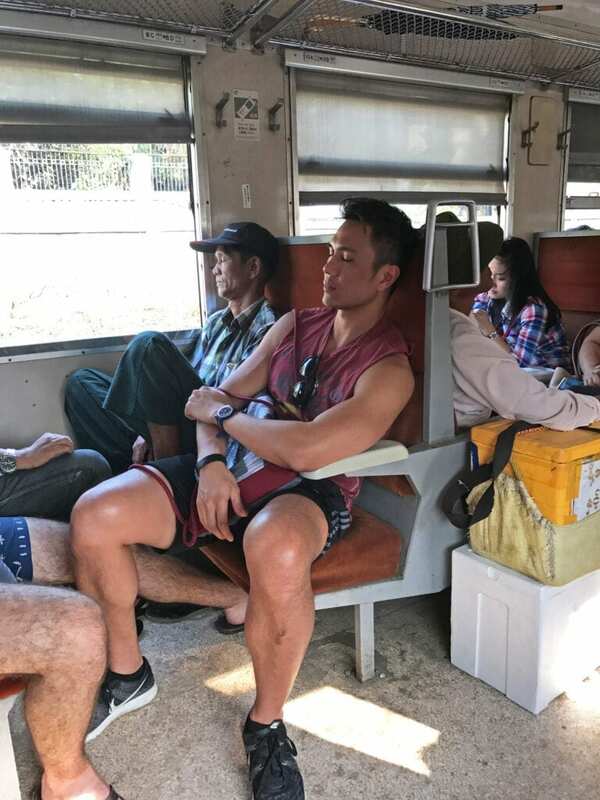 Granted, the train has 39 stops throughout the 46-kilometer trek, so passengers (and their belongings) get on and off fairly quickly. The seat arrangement was particularly challenging for me. The seats face each other, which means if you are slightly on the taller side (I’m 6’2”), you will be fighting for legroom . . . for three hours. Good luck with that leg room! But what I did enjoy was seeing the change of scenery. As the train goes from station to station and further away from the city, you get a glimpse of the small and rustic villages outside of Yangon–with the occasional views of the children playing kickball or soccer or volleyball along the train tracks. The original plan was to visit the Pagoda before sunrise and at sunset. However, I decided to relax and skip the sunset visit after the exhausting 3+ hour Circular Train ride. 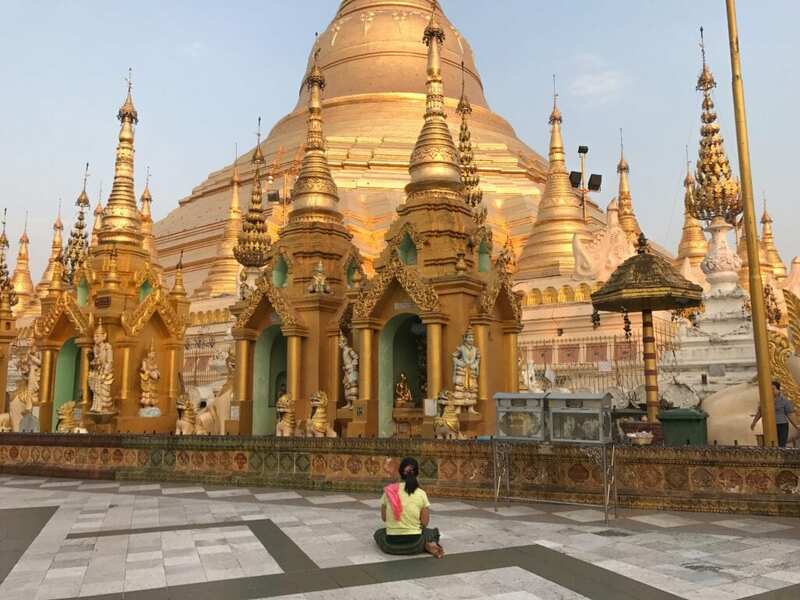 I’ve seen a handful of Pagodas with my travels in Southeast Asia, but I would rank Shwedagon Pagoda as the most impressive out of all that I’ve seen. The sheer scale of the Pagoda is impressive in itself. But what was equally impressive was the peaceful, almost sacred atmosphere the moment you enter the shrine. I’m not Buddhist, but watching the people who were there praying before the crack of dawn made me feel very spiritual, at peace, and to a certain extent, inspired. Awesome post! Thanks for sharing! 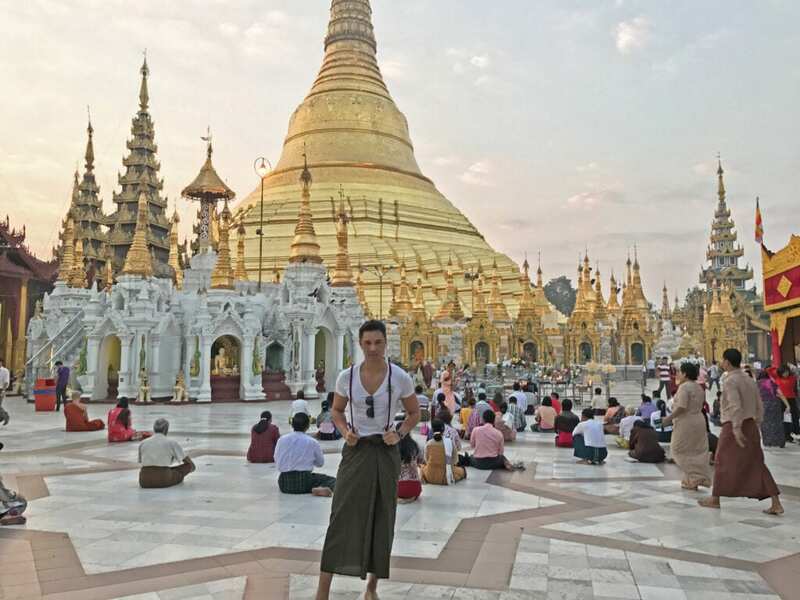 Indeed Myanmar is a very beautiful place and definitely a must to visit.